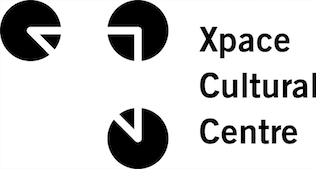 Xpace Cultural Centre accepts proposals of all media from student and emerging artists, curators and/or designers. Exhibitions are selected by our Programming Committee, composed of Xpace staff, representatives from the OCAD Student Union and an outside member of the Toronto arts community. All selected artists/designers/curators are paid, and there is no fee to apply. This call covers all exhibition spaces from October 2019 through July 2020. The open call for submissions will be posted in May 2019. 1. Artist Statement (500 words max): The Artist Statement should give a description of your overall practice as it relates to the specific project you are proposing at Xpace. 2. Project Description (500 words max): The project description should give a clear and concrete description of the work you are proposing for installation at Xpace. Please specify which exhibition space you intend the work to be exhibited in. All of our spaces consider site specificity, so please take that into account in your description. If you are a curator proposing a group exhibition for the Main Space, please list confirmed artists (if any) and/or the content of your call for submissions (if you are planning on holding one). 3. Technical Description and Budget (250 words max): The technical description should include a list of all foreseeable technical requirements including equipment and materials necessary for installation within Xpace (this does not include materials to create the work). The Budget should indicate roughly how much your project will cost to install, itemized by category (materials, labour, etc.). 4. Curriculum Vitae (Max 3 pages): Your CV should include education and exhibition history, as well as any relevant experience, reviews, etc. Xpace only shows the work of student and emerging artists/curators/designers – Please make sure that you fall within our mandate before submitting. If you are unsure, please ask. 5. Visual Support Material (5-10): Images must be in JPG format. You may include links to video and/or audio files. These should be a maximum of 3-5 minutes in total. If there is a specific portion of a longer video you would like the Programming Committee to watch, please indicate it on your support material list. 6. Support Material List: ordered and labeled to match the files given. If you have any questions about the proposal process please contact Philip Ocampo at [email protected] before 5pm on the deadline date. DUE TO HIGH INTEREST, XPACE WILL ONLY ACCEPT SUBMISSIONS RECEIVED THROUGH OUR FORMAL SUBMISSION PROCESS AS OUTLINED ABOVE. THE PROGRAMMING COORDINATORS ARE HAPPY TO ANSWER YOUR QUESTIONS BUT THEY CANNOT ACCEPT INFORMAL SUBMISSIONS. SUBMISSIONS MUST BE SUBMITTED THROUGH THE SUBMITTABLE.COM SYSTEM; E-MAIL SUBMISSIONS OR ADDITIONAL MATERIAL SENT THROUGH E-MAIL OR SOCIAL MEDIA CANNOT BE ACCEPTED. Applicants will be notified within 3 months of their proposal’s status. Xpace thanks all applicants for their interest. The Window Space looks out onto Lansdowne Avenue and is visible 24 hours a day. Works proposed for the Window Space should consider the nature of an exhibition space with 24-hour access, and its location and presence as a window facing out onto the street. Solo or collaborative works may apply. Click here to see the Window Space exhibition archive and floor plan. The Main Space gallery hosts group exhibitions organized around a connecting theme or idea. You may apply as a curator or as a group of artists. Proposals should emphasize the ways in which the works and artists/designers included present and reinforce the framework proposed by the connecting theme. Curators may apply with works already selected, or with a theme only (please include examples of artists/designers and/or the type of works you are interested in). Click here to see the Main Space exhibition archive and floor plan. The Project Space is intended for installation-based practices. Submissions that emphasize experimentation and take into account site-specificity will be given priority. Solo or collaborative works may apply. Click here to see the Project Space exhibition archive and floor plan. Our External Space is located on OCAD University Campus in the Learning Zone. The External Space offers opportunities for single channel media based works, with an emphasis on video and animation. All External Space exhibitions are also hosted online.